Filled with period features - tons of lovely fireplaces! 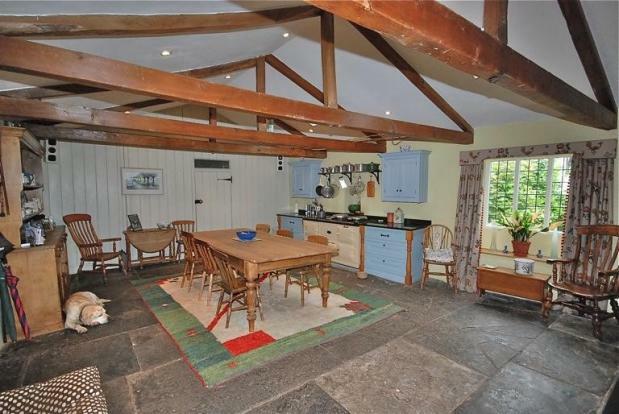 Lovely kitchen and I wouldn't mind if they left the dog! There's a lovely muck heap outside which would be fantastic for the veg patch I'd have here! Very lovely - a few acres, and plenty of space!